ARCO Ltd is involved in marine and Oil & Gas industry providing a wide range of activities. It is established in 2008 and its registered office is in 459, Dimokratias Av., 18863, Perama, Greece. Its executives have an experience of over 30 years in the industry, which makes the company one of the most reliable companies in the field. ARCO’s main objects are general ship studies, new building and repairing projects, ship conventions and difficult industrial constructions. In general, the main services are steel & piping works, specified in treatment of various metal types such as aluminum, stainless steel etc. It is also undertakes great and complicated projects, ‘‘Turn key’’ and ‘‘all included works’’ such as accommodation works (interior design and constructions), outfitting, mechanical/electrical works, hull treatment (hydro/sand blasting, cleaning, painting) etc. for all types of ships and structures. During its operation, the company has undertaken and completed significantly large projects and has created a strong & long-term relationship with all domestic and internationally clients. ARCO Company is a member of ECO MARINE SYNERGY Greece (ECOMASYN), an association which deals with “green” technology applying on vessels and also a member of WIMA a non – profit association where participators are some of the most reliable and qualified Greek companies in marine & industrial field. Our philosophy is the continuous, efficient and quick customer service, to offer at the customer a complete product line. The aim and the duty of the company are to stand by the client not only during the assigned project, but further more after its completion, providing technical support and help. The company’s staff is highly professional and at the client’s disposal whenever required, 24 hours a day. Moreover the constant updating on technological developments allows the company to face and meet any requirements and challenges in the modern industry world. Improving the quality of services and compliance with the standards of quality control systems made ARCO Ltd to certify by ΕΝ ΙSO 9001: 2008 (Quality Management System Standard), ISO 14001:2004 (Environmental Management System Standard) και 18001:2007 (Occupational Health & Safety Standard) and to carry certificates (welders, welding procedures etc.) by the strictest certification societies. To continue the effort of providing quality marine services concerning the highest environmental, health and safety standards. To become one of the leader company in marine and industrial sector. To keep the strong relationship with existing customers and expand our cooperation within the ship and industrial market. 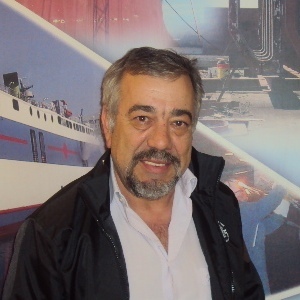 Antonis Athanasopoulos worked in the Hellenic Shipyard of Skaramagas from 1970 to 1978. From 1978, he worked as a lead technician in various ship repair companies as well as a technical advisor in shipping companies. In 1989, he set up the ship repair company, KARABAGIAS – ATHANASOPOULOS LTD, which was renamed MEGATECHNICA Ltd in 1993, after purchasing the shipyard of Kastrinos in Perama. In 1998, after leaving MEGATECHNICA Ltd, he joined in NEODOHOS Ltd as the main shareholder and manager which is still in operation. At the same time, he has been one of the main shareholders and managers of the ARCO Ltd since 2008. 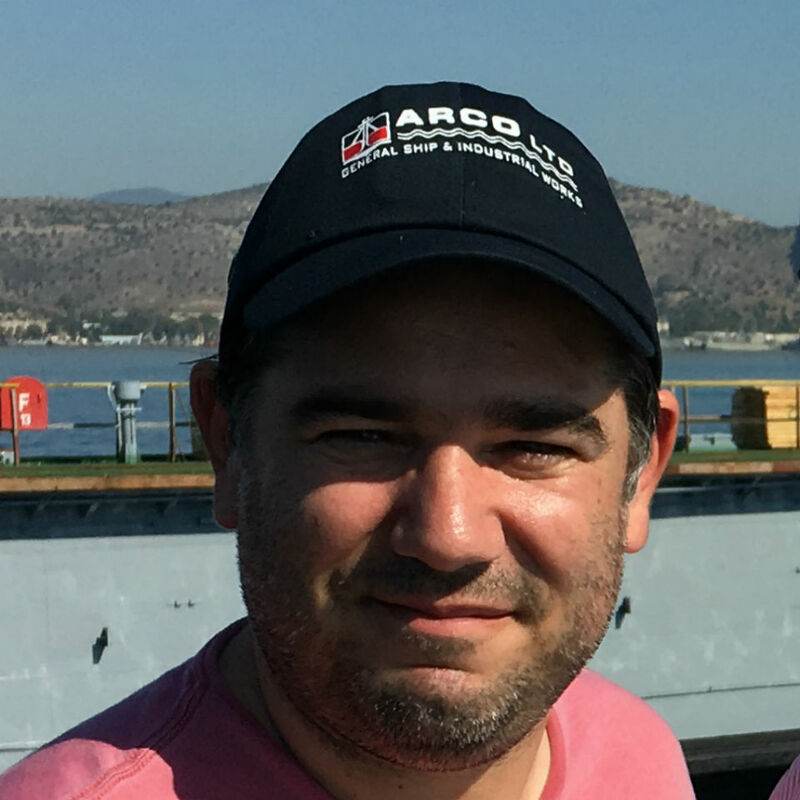 Ilias Athanasopoulos graduated from the Naval Architecture Department of the Technical Institute of Athens in 2004. He continued his undergraduate studies in naval architecture graduating with an A-class degree from Newcastle University, in 2008. Finally, in 2009, he completed his studies with an MSc degree where he also excelled. While studying, he worked as a naval architect in NEODOHOS Ltd from 1998 to 2008, undertaking various projects and ship studies. Furthermore, in 2002 he worked in the Hellenic Shipyard as part of his first undergraduate degree. 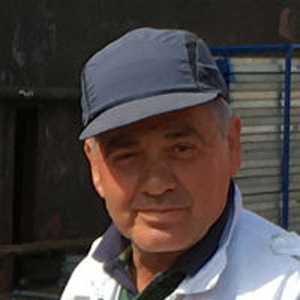 From 2008, he has been one of the main shareholder and manager of ARCO Ltd.
Dimitrios Poulos studied in the Merchant Navy School of secondary education from 1971 to 1974, and at the same time was working, until 1975, in the shipping company HANDRIS, where he was involved in various ship repair and conversion works such as C/R ELLINIS, C/R BRETANIS etc. From 1979 to 1983 worked as a technician in a company constructing air-condition units and similar constructions such as roller mill etc. Following that, he worked in various ship repair companies based in the ship repair zone of Perama until 1988. At the same time he worked as a technical advisor in the Regent Cruise shipping company. From 1988 to 2008, he was a production manager in NEODOHOS Ltd. In 2008, he was one of the co-founder and shareholder of ARCO Ltd till now.